Olga Seryabkina, like many other celebrities in January, taking advantage of a pause in the work, flew to the warm ocean. 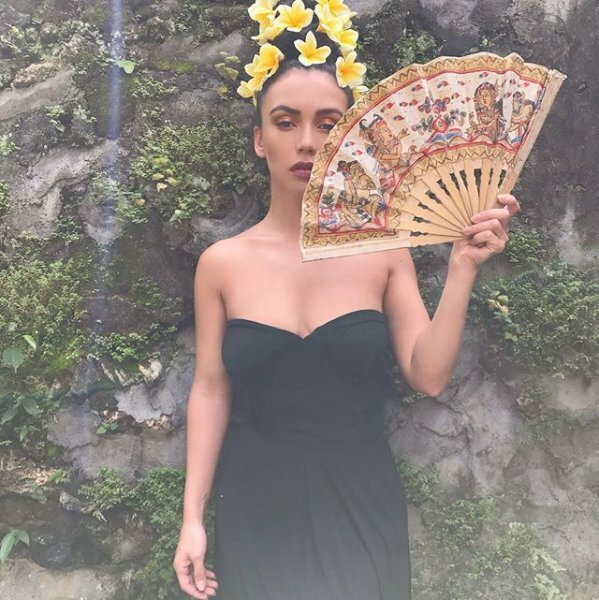 Now SEREBRO soloist with her bandmate Kate Kischuk is on holidays in Bali. Girls are thrilled about traveling from winter to summer and do not get tired to share their impressions and photos on Instagram. In this case, Olga Seryabkina not only shares naughty photos in bathing suits and seductive video, but also talks about the culture of this country. For example, for the singer it was a revelation that Bali locals never kiss, and they do not even have words for this loving ritual. "They rub noses, like the Eskimos! - surprised the star. - And it's more sensual than French kiss. Lips themselves are very sensitive, skin contact is stronger and breathing becomes more pronounced ... And in general, all the sensations become more acute. Something like this...". The singer admires the "cult of the natural female beauty." "I learned that in Bali women went without the top part of clothes most to the middle of the last century, and it is considered absolutely normal! - tells Star. - It's great to be in a place where people go like this apart from the tourist area, in some villages, so far. Here, of course, definitely catch this wave, you - the child of nature and all kinds of gender troubles go by the wayside. Although, I'm keeping it together! "